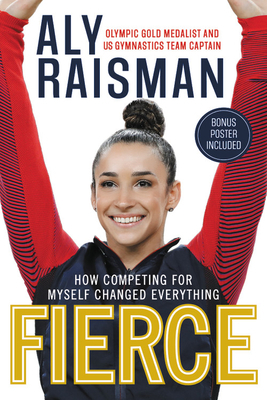 In Aly Raisman’s memoir, Fierce: How Competing for Myself Changed Everything, Raisman delivers a powerful message of self-awareness particularly aimed at adolescent girls. However, since I have a sinking suspicion that our teenage insecurities stay with us for our entire lives, this book is good for anyone who struggles to hear their own voice over the call of the crowd. and 2016 – and so those curious about the team dynamics there will be gratified. For me, the most important point is summarized in the title: when you step into your true self, and you know who you are, the limit does not exist. As Raisman’s career took emotional tolls on her, she learned the value in centering herself in… well… herself. Like, when her teammates called her ‘Grandma’ for giving into her introverted side and leaving parties early, Raisman embraced that. That may seem small to you – but do you remember being 17? I do. My friends opinions were the most important and I frequently chose them over the voice in my own soul. And I didn’t have the pressure of cameras, Olympic medals, or social media on me. The book paints a photo of a self-possessed woman who knows her voice is valuable and is using it as such. We’re in the throws of end of the school year, and I can’t lie, this book would make a pretty good present for anyone heading from middle school to high school.